Do you suffer from sharp zings of pain while trying to enjoy your favorite hot or cold foods? Perhaps during a bite of a soothing popsicle or a sip of comforting hot tea, all of the sudden, it’s less about “Yum!” and more about “Ouch!” If your teeth are keeping you from the hot or cold foods and drinks you love, our dental office in Clinton Township is here to help. First and foremost, proper oral hygiene is key to keeping teeth and gums healthy, and enamel strong and protective. Make sure to brush (gently) twice a day, floss once a day, and visit your dentist in Clinton Township regularly. Additionally, choosing the right toothbrush and toothpaste can keep sensitivity away. Select a brush with soft bristles and toothpaste without sodium pyrophosphate, which may contribute to sensitivity. Suffering from sensitive teeth isn’t fun and can keep you from enjoying your most favorite foods. 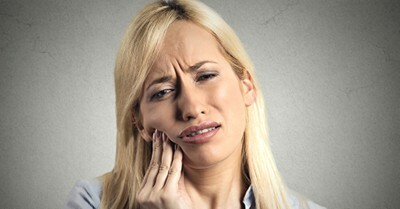 If you’re dealing with the pain of sensitivity, call our dental office in Clinton Township. We will work together to determine what caused the sensitivity in the first place, what you can do at home to keep it away, and if additional treatment is necessary.